It's simple and great. 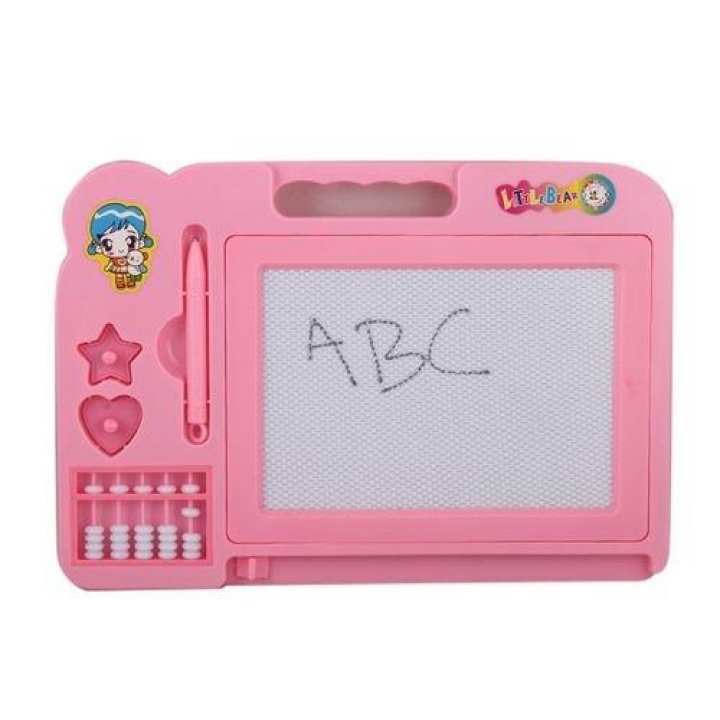 You draw or write with the stylus on the screen and when done, pull out the screen and everything gets erased. It reminds today's kids what a pen is and encourages writing and drawing by hand (as opposed to typing or finger-drawing on the iPad).